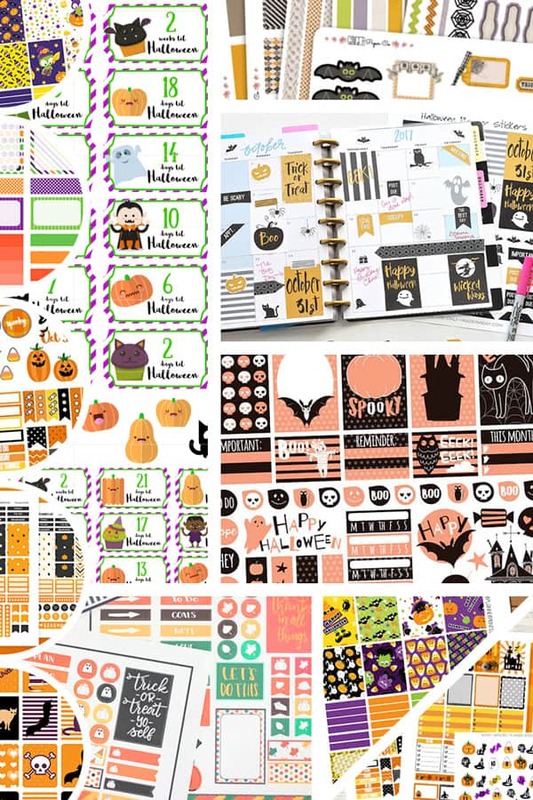 If you love decorating your home, your porch and yourself for Halloween (who doesn’t?) 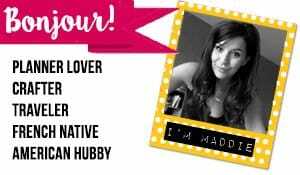 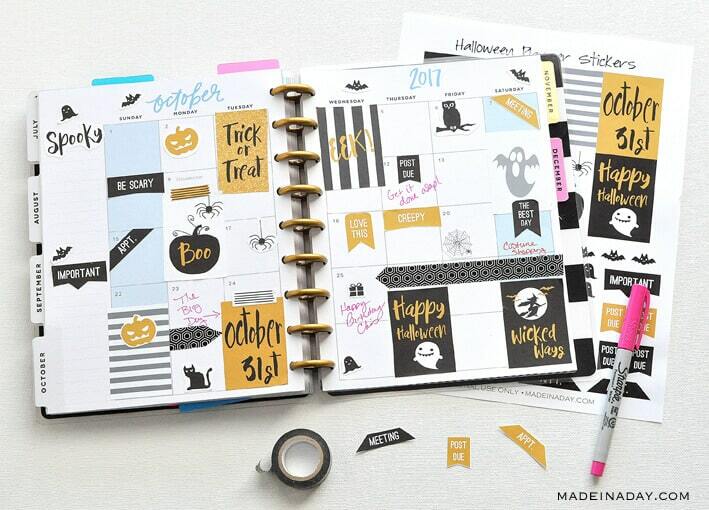 then you sure will love decorating your planner for the occasion too. 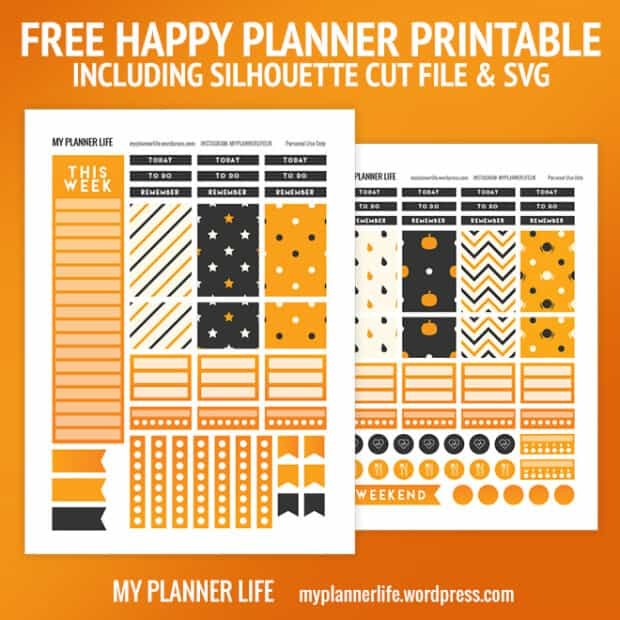 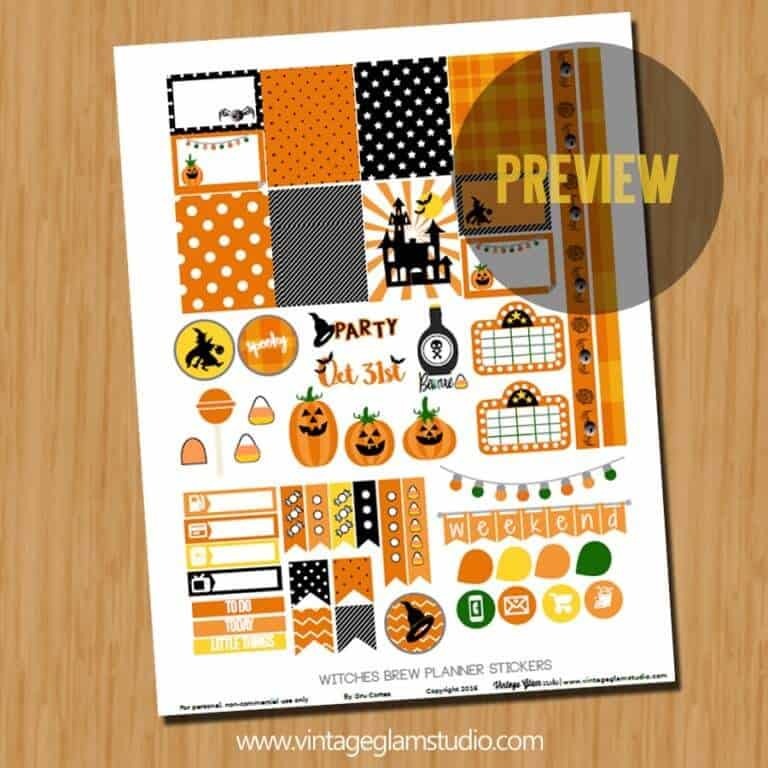 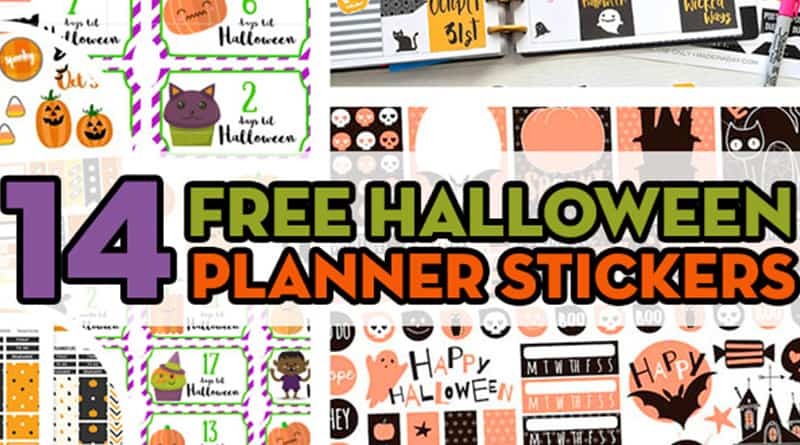 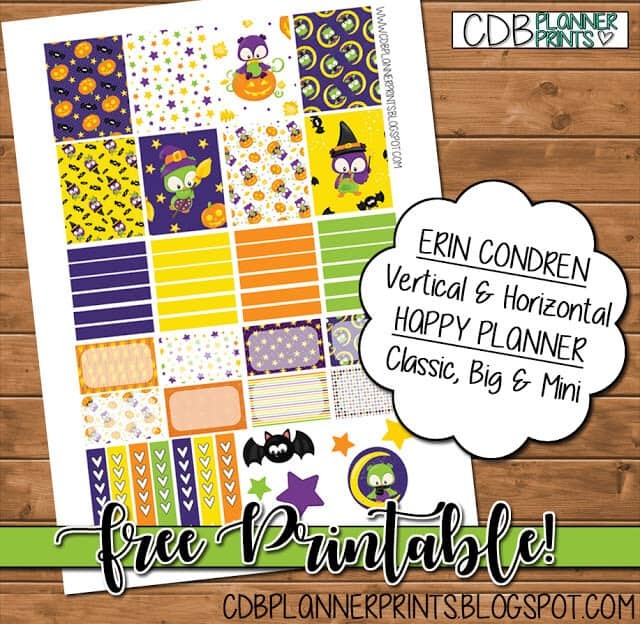 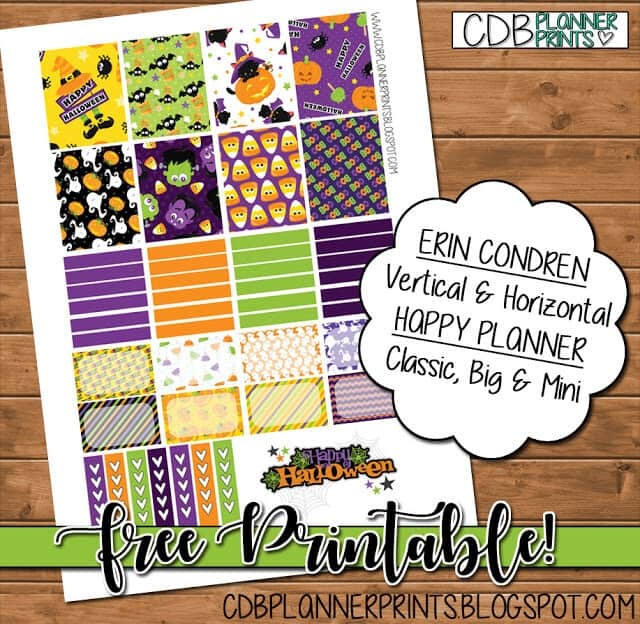 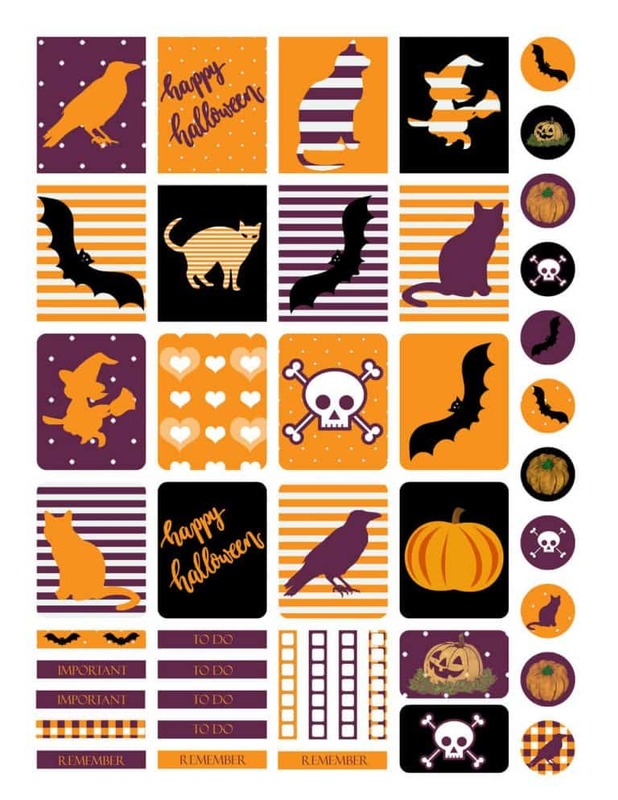 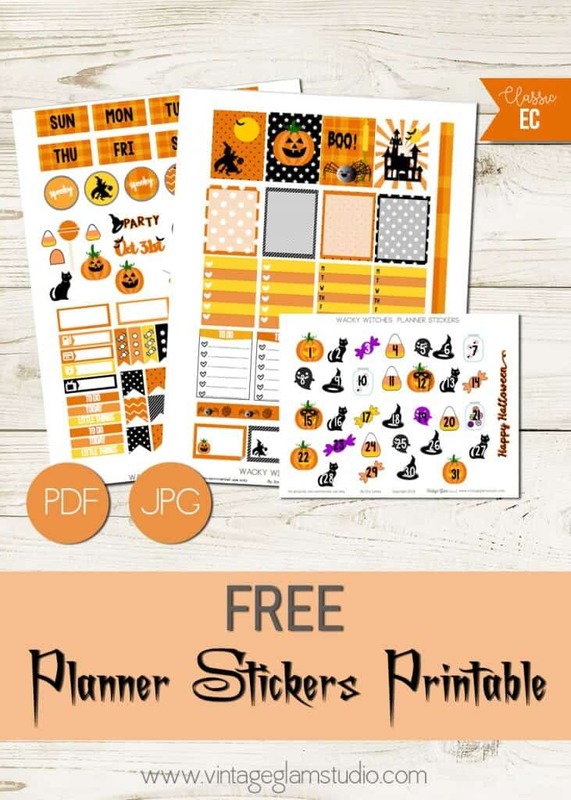 To help you do so, I’ve gathered on this page 14 free printable sets of Halloween planner stickers created by talented and generous planner lovers! 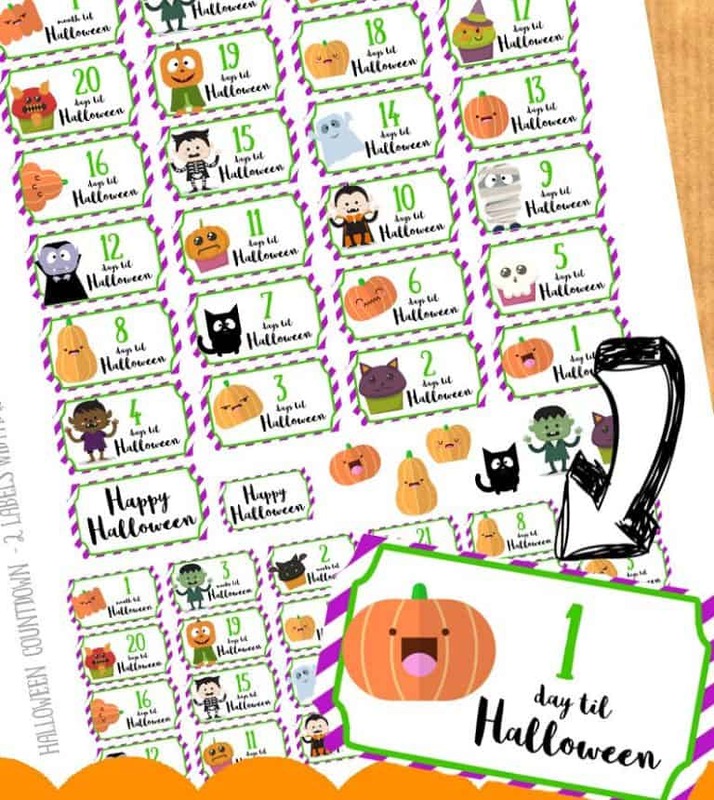 Make sure to check out the great blogs included in this list as they share some really nice free printables, for Halloween, but also for all year around too! 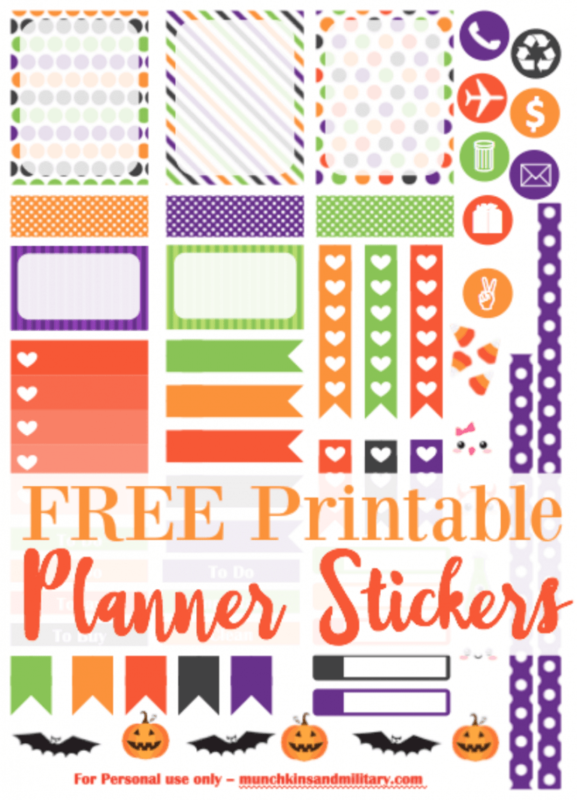 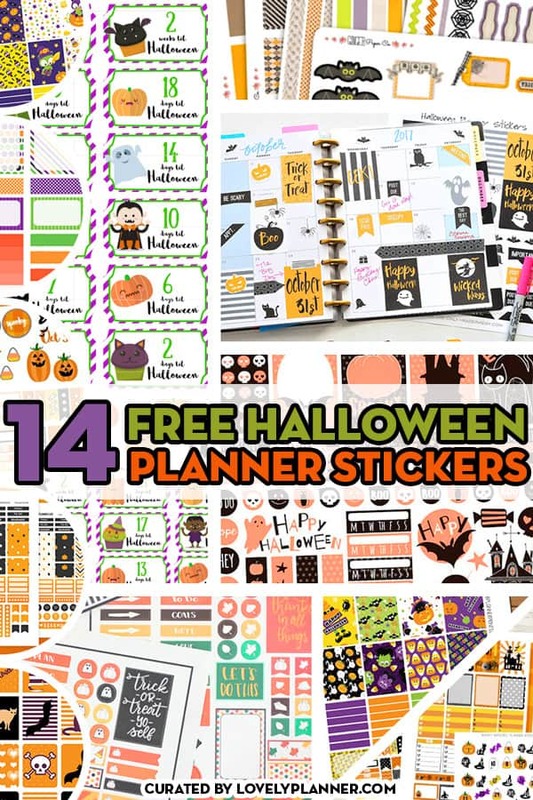 Also make sure to look up this selection of 12 free Fall Planner Stickers to really get your planner decor on point for this season! 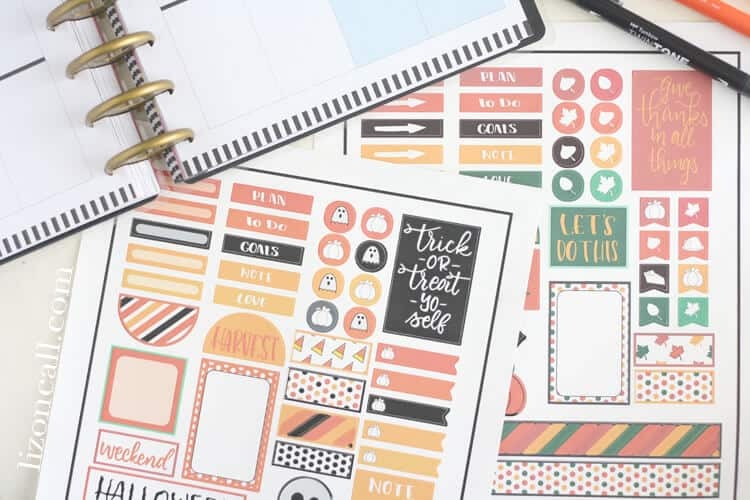 I’ve included different types of stickers in this list: weekly kit, sets of individidual stickers, checklists and even 2 maxi kits (including several pages). 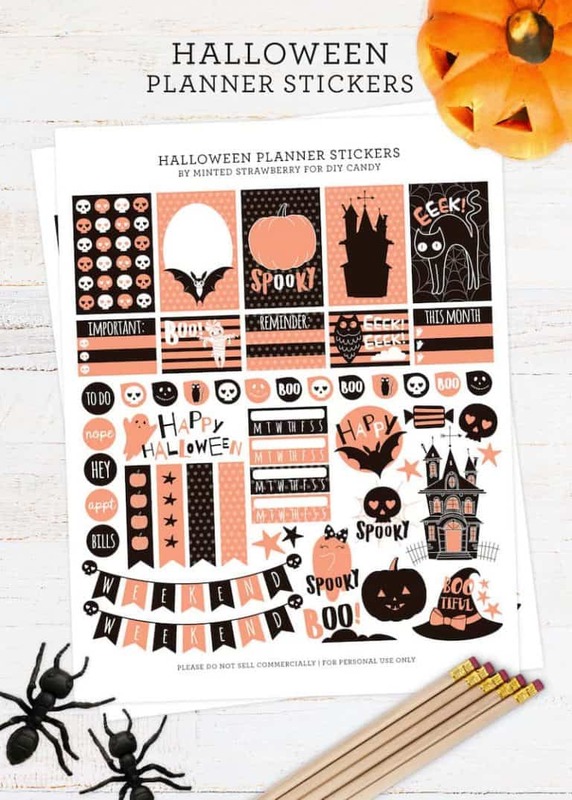 Spooky or cutesy, the choice is yours!